← The Revenge of the Infographic? 2. The map displayed at the center of the huge stage created a very indelible image of Putin’s relation to the Russia, consolidated over three terms, as if it were being not so subliminally etched to the consciousness of his audience. 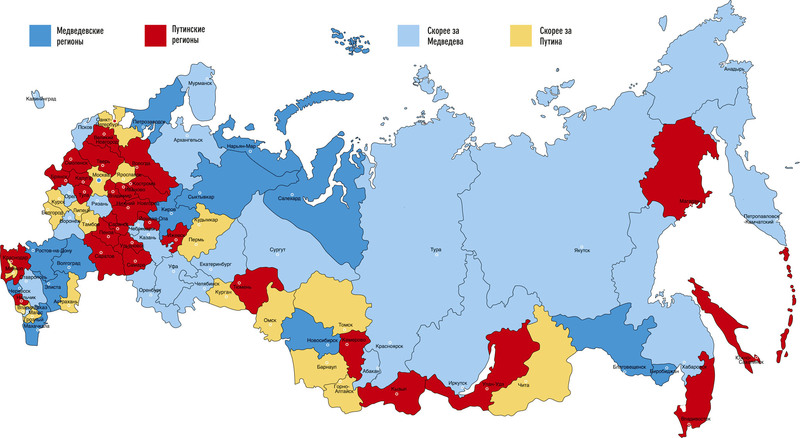 Blue Russia affirmed his custodianship of the boundaries of the Russian Federation in the years after the dissolution of the Soviet Union, and reminded viewers of the need to preserve its unity; as such, the map projected as a prominent backdrop provided something of a promise for his future protection of its bounds: in an age of the ever-increasing virtuality of the map, when boundaries are contested and less clearly drawn than in previous generations, the projection of the nation seemed to possess a haunting solidity, filling up much of the wall before which Putin addressed his audience, as if in a guarantee of the prominence of the credibility of Russia on the global stage and the preservation of a coherent regional federation under his own political guidance, and underscored the deeply nationalist position Putin adopted, as it illustrated Putin’s repeated contrasts Putin drew between Russia and the rest of the world, and suggesting the restored global prominence of Russia within the world that Putin had long sought. The dominant chorus of deep blues offered a heavy-handed version of a subliminal message on state-run television, an odd choice for a man who loved to joke that Russia’s borders “do not end anywhere,” sending “Russia’s borders” trending on Twitter, even as he sent troops into Crimea and Ukraine–even without ever having crossed borders with troops. Russia’s borders seemed a bit distorted by falling on multiple screens behind him, but if the silhouette map of Russia’s population lacked a legend, it hardly begged interpretation. Putin quite consciously departed from the far stodgier customary practice of public address, by shifting to a venue where he spoke before a brilliant video backdrop to assure the nation that “efforts to contain Russia have failed.” Portraying Russia as a force of global peace, and suggesting some anxiety about the increased militarism of the United States on the global scene, Putin echoed the claims that he was a man of peace and “we do not want confrontation with anyone,” and that “we are not looking for enemies,” even as he seemed to affirm the distinct prominence of Russia within the globe in ways his audience would not forget, and to affirm the distinct place of “Russian interests” in a globalized world, that he argued shortly after the inauguration of Donald Trump rested on “strategic parity” that forgot the prominence of a Russia engaged in Latvia, Crimea, Ukraine, and Syria in the globe, in a new practice of global influence that demands no border crossing. No longer does Russia need to cross borders to launch attacks, however, but rather bolsters its prominence in the world by affirming the constant presence of Russia in the world crossing of borders through his expanded military, but by stoking up Russian nationalism or separatist movements in the grey-colored globe outside the pink preserve of the Russian Federation, including parts of Crimea–a gift that he claimed was presented to him and an emblem of his debut on a global stage that he argued responded to American military escalation in the former Soviet space and Washington of trying to “remake the whole world” in response to its interests, while rejecting any ideas that the Russian Federation “is encroaching on the sovereignty of its neighbors” as “groundless,” three years ago, even as Russian presence in Ukraine grew and Russia annexed Crimea, allegedly”without a single shot fired and no human casualties.” The new role of Russia as a force of global peace that Putin promoted seemed to pivot from the newly expanded borders of Russia to a military prominence of Russia that transcended its borders. In cataloguing the triumphs of Russian engineers, he sought to assert the place of Russia as a major counter-weight on the global stage, as well as foster something of a new cult of personality that identified his Presidency with the preservation of Russian interests. The new “defender of Russia”–unlike the “Defender of the USSR”–was however dependent on the engineers of ballistic missile systems and nuclear-powered drones and supersonic missiles, and a disembodied system of mapping, and not on an army. But he seems to have sought a similar symbolic acclamation as the protector of the nation. The silence of the map before which Stalin was posed, raising one finger triumphantly as if to point the way forward to clear acclamation by adoring Russian crowds, whose memory was not so far away. –or the far more recent displacements of huge populations in Ukraine and Crimea just several years ago, as millions of displaced left the regions near the Russian Federation, and the catastrophic displacement of over 430,059 IDPs in Ukraine in 2014-15. 3. The multiple silences of the amnesic “deep blue” map before which Putin addressed the nation embodied the Russian Federation apart from a global expanse, and removed from its inhabitants or from an ideological frame of reference. But implicit in its isolation was an ability to shift, in the second half of the speech, to a new image of globalism and global war. It asserted the nation’s healthiness and strength as, even if the speech’s message was to assure readiness to defend national interests outside of these bounds. The choice to display the map seemed particularly significant as Putin had in worked hard not only to preserve but expand the Russian Federation’s boundaries in his previous terms; it seemed to bolster his wide popularity won through the tenacity of spearheading tactical military invasions of Crimea and Ukraine, and to return to his protection of Russia and its allies even as he sought to defuse concerns for military engagement in the future in Syria and elsewhere. 4. Pronouncing that Russia’s “growing military might” was in fact a “reliable guarantee of peace on our planet,” Putin described in detail the accuracy of attacks Russian nuclear-powered ballistic missiles had now attained for a national television audience, in a new sort of theater of state in the second half of his two-hour speech, after reciting statistics about the national economy. The videos that followed presented what seemed an array of animated ballistic missiles to illustrate what he described–underwater drones fired from submarine; nuclear-powered guided missiles; hypersonic missiles and laser weapons all built since the Soviet Union collapsed–that re-mapped Russia’s geopolitical power on the eve of the Presidential election. As if sacramental invoking his protection of Mother Russia, Putin stonily stated that any nuclear attack on allies would be regarded as an attack on the homeland deserving “immediate response,” before a gigantic blue screen that must have mesmerized his audiences, and seemed to map the new prominence of Russia in a geopolitical military struggle far more powerfully than most had expected. Putin had relocated an address that was traditionally delivered in the Kremlin’s to a Georgevsky Hall into a large speaking hall in Moscow’s center. The new venue allowed his address to accommodate infographics and video feeds, prominently featured as a result in a talk to lawmakers that was broadcast to the nation; he had also shifted its traditional date at the end of the year in December to about month before the national election, to affirm the growing global status of Russia as a world power that he had promoted so tirelessly during his two previous fou-year terms and one six-year term. The rhetoric of national defense he used oddly mirrored the “America First” tone of Donald Trump, as he pivoted into a verbal attack of how the United States had lowered the threshold for use of nuclear weapons in ways that would return to haunt them. Putin reassured audiences of the readiness with which Moscow would regard any attack on its “allies” as grounds for an immediate firing of a ballistic missile reprisal that could “head for its target like a meteorite,” naturalizing the fury of the new missile response system that the Russian military arsenal would allow. The visually enhanced speech was broadcast live to the nation with animated graphics to confirm the arrival of Russia’s relation to a global context under Putin’s stewardship of its nuclear arsenal, showing Russians that Putin had redrawn the global political map, expanding Russia’s international sway, to distract them from immediate economic concerns and affirm their trust in a figure they should identify with the state. –and the more splintered country in the 2000 election, whose uniform deep blue had tiny pockets of yellow and redoubts of red, mostly clustered along the southern border. Putin’s rather grandiose preferences for advertising his sovereignty by posing before expansive maps conjures and seems to welcome–if not invite–geopolitical conflicts. The map of a united Russia seems the perfect background for offering a challenge to the growth of ballistic missiles fitted with nuclear warheads, as they illustrated the extent to which Russian engineers have, in his words, succeeded in devising weapons that transcended any territorial obstacle or surveillance post, let alone actual barrier, and overrode any division. The ability of the “invisible missile” that he described–and whose course was mapped on video–“invincible in the face of all existing and likely future systems of missile defense”–affirmed that any area of the world was now subject to the strike by Russian ballistic missiles, and that Russia’s own territorial sovereignty was affirmed. The nuclear-powered low-flying cruise missile and nuclear-powered underwater drone he unveiled served as a warning to the world announcing a defensive system of Russian territory, using a full third of the speech to describe the missile system whose power he purported to unveil as if they were ready for use, but too secret to describe in detail. Putin had shifted the speech’s time and place to a large exhibition space to profit from the large-scale projection abilities. The backdrop suggested the sovereign identity of the Russian Federation, as it also provided a more modest counterpart global map which in a parallel video Putin used to display the global range of the missiles, supersonic weapon, and lasers he claimed to be in production or already developed, that would not respect any international bounds, but which he announced would only be used in any event to protect Moscow’s allies, and provide a basis to affirm Russia’s continued integrity, as if in rejoinder to the declaration of General James Mattis, U.S. Secretary of Defense, now a surrogate for the Secretary of State, that “We will defend the country–hear me now–we will defend the country from any attack . . . at any time, from any quarter.” It seems important to note that Putin came of political age when he first ran Russia during the First Gulf War, the age of precision strikes of guided US Missiles equipped with GPS, and seems to have relished the opportunity to create comparable graphics of the strikes on foreign territory at a continental remove. But the tenor of his speech was difficult to place in any specific time. Putin planted his own feet deeply in the forgotten terrain of the Cold War in his March 1, 2018 address to the Federal Assembly, and raised the scary specter of unmanned nuclear-powered missiles that suggested a possible danger of future expansion of nuclear proliferation. Indeed, what happens to the loss of one of these nuclear-powered missiles, or the pirating of its nuclear-powered technology to a rogue state or non-state actor? Is this new arsenal actually safe and protected, and will it ever be exported, if it does exist? –in ways that led FOX News to suddenly and readily broadcast a shock map of the threat sea-launched missiles from Russian submarines posed to the eastern seaboard. Designed by the Center for Strategic International Studies’ Missile Defense Project, threats into America’s territorial waters and Exclusive Economic Zone would face “limited defenses,” registering a ratcheting up of global fears–and then ratcheting them up further. For the more provincial American news, however, the announcement of ICBM’s was viewed only as a threat of national vulnerability–as if Putin were stealing the spotlight from North Korea by his threat. The readiness to remap the danger of Russian missile strikes indeed reflects how Mattis had sensed “Moscow’ unabashed return to [the] Great Power competition,” and done so by suddenly shifting our own media attention to the threat of a missile from North Korea to submarine-launched cruise missiles from the Russian Federation. 6. The projection of such a triumphal map of a united Russia was a sort of rejoinder to the point-data of GPS. The mapping of the integrity of Russian territoriality was boosted by the accompanying images of potential military exercises that the newly invigorated nation was now capable. Videos displaying the global reach of nuclear warheads the Russia has allegedly devised seemed the perfect counterpart to the expansive image of Russia in the Federal Assembly Hall, glowing like a hologram, projected a vision of a Russian the bridged land and water, but that effectively haunted the entire world. And beside the familiar narrative of the struggles and setbacks, multiple and not superseded, faced by a Russia reduced in territory, GDP, population, and wealth, the use of militarism as the new glue that held together the nation was not, perhaps, all that surprising, if the maps that showed and heralded Russian dominance over global geopolitics surely were. “I hope the everything said today will sober up any potential aggressor,” Putin intoned, strongly identifying himself with the protection of the nation. The curved map seemed both crisper and more imposing, on live video, than anything else in the hall, and carried a not so subtle subliminal message to viewers by its glowing map, uncannily resembling a back-lit computer screen. The acknowledgement of broad support in the Federal Assembly Hall placed Putin before the oddly hued blue map of the southern border of Russia, that seemed to tie him to the sovereign power of Russia since the annexation of Crimea in 2014 and aggression in Ukraine. The projected backdrop created a cold image for Putin’s vaguely smiling face as he acknowledged his re-election as President of a Russia that now extended to Crimea, and the applause of his audience at remarks about Crimea, as if the war were further cementing his tie to Russia on the eve of the Presidential election. In order to foreground the striking announcement of a new intercontinental ballistic missile of unprecedented avoidance of monitoring systems and a nuclear-powered warhead, as well as a nuclear submarine able to launch underwater drones, with the opportunity to chastise the West, “You have failed to contain Russia,” despite recent setbacks, Putin warned, as if pointing a finger to call longstanding geopolitical opponents to a reckoning with Russia’s newly expansive military power. The notion of a permanent geopolitical struggle, perhaps frozen in time from the Cold War, seemed the symbolic takeaway of the aptly icy blue map. The iciness seemed apt for Putin, and apt for unveiling the invincible weapons Russia seems currently developing or believes it has under its control, timed nicely with the need for a booster of his strength, but playing a card of militarism that left many speechless in his audience, if it provoked American charges that the missiles would violate an earlier restrictions on ground-launched ballistic missiles a range greater than 3,000 miles by his announcement of missiles of “practically unlimited range.” Arguing that the “defense shield” of NATO had been rendered obsolete, and full of holes, the intent seemed to taunt the United States and undermine trust among its allies. Donald Trump’s later response on the annual Easter Egg Roll, affirming the expanded funding of the military by a $700 billion budget, and echoing how White House spokeswoman Sarah Sanders affirmed plans for spending over $700 billion on military spending in the next fiscal year to deter any Russian threat. But flanked by a terse, stoney-faced Melania and wide-eyed bespectacled Easter Bunny, Trump’s statement seemed a superbly ridiculous study in contrast. Perhaps Putin wanted to protect his election by seemingly sponsoring Donald Trump’s candidacy in the United States. The election that seems to have transformed the United States to the last Soviet satellite state since the Soviet Union’s collapse occasioned discussions with the American President about “shared interests” of a congratulatory tenor; the photo opp for Putin acknowledging victory, before the glowing map of Russia, reminded audiences of its claims of the big blue nation as if it lay at the center of the world: the claims extended to the Arctic Sea, in claims to offshore arctic oil for Rosneft wells in the Sakhalin seas that constitute increasingly prominent national revenue claims, and to Crimea, beside which Putin’s smiling face was shown–as if to showcase the very region of Crimea that, he wanted to remind the nation, he restored to Mother Russia, despite having lost land since the demise of the USSR. The narrative of resurgence was promoted by the solidity of the map’s deep blue expanse, newly protected by a fully militarized state, that seemed a capstone of the political career of an operative that had begun back when George W. Bush withdrew from the ABM Treaty, and he set his sights on protecting Russia’s safety and the security of its allies. He certainly seemed to take credit for the territorial defenses he claimed to have promoted. 7. The dramatic expansion of Russian claims to sovereignty over Putin’s three terms had recently grown under Putin’s reign, as it happens, both to the Crimea and Ukraine, to the south. At the same time as such military conquests, leasing the territorial waters of the offshore regions to the north, on the removed continental shelf, has become a crucial area of strategic development for the state-owned Rosneft corporation: leases for extracting oil promise to offer future seeds of the Russian economy, and perhaps the only possible plausible engine for its economic security and expansion. The strategic expansion of mapping leased lands offshore in the Arctic oceans beyond the northern coast by Rosneft that includes up to fifty individual projects in the subsoil of the Russian continental shelf had recently under Putin expanded the notion of Russian sovereignty in ways were central to Russia’s economic future: the claims to offshore prospects are mapped as a national “rights” to extract mineral resources in offshore projects, across the continental shelf of the Russian state, blurring land and sea–as off coasts of Norway, Mozambique, and Venezuela, and in the Sea of Japan–remapping Russian sovereignty far beyond its coast, in hopes to bolster its consolidation on a global energy market. –and perhaps the blue of Russia reminded viewers as well as the rest of the world of the centrality of future drilling to the economy. The plots lying just off the outer continental shelf that seem continuous with the land, were colored light blue in the below Rosneft map reflecting bathymetric variations, as if to validate their national claims. The movement across borders, national defenses, and any line that might be drawn on a map for the missile equipped with a small nuclear reactor served as a clear reminder against encroaching on Russian sovereign claims, and an effective mobilization of confidence for Russians, suggesting not only the vitality of Russia’s engineering and scientific power as well as strategic protection, and the global preeminence of the nation under Putin’s rule, which has seen the development of missiles able to evade the vaunted missile defenses of the west. Although much of the start Putin’s speech on the nation’s economy was met by silence, the symbolic map offered a tacit reminder of economic hopes, creating a convincing unsubtle rationale for Putin’ election, the primary take-away was magnifying military defense and the national defense industry and Russia’s protection of its allies. The aim seemed to be to caution against any nuclear strike against potential allies, broadcasting that Russia’s ability to strike anywhere in the world through a nuclear arsenal that it had dedicated itself to magnify, even if by tightening the domestic budget, through four new varieties of weapons, each unknown to any other country, and two equipped with mobile nuclear power. The image of such global power boosted his own individual stature in the hall, indeed, seem to grow like Alice as he described the range of nuclear-powered missiles he claimed lay in Russia’s new arsenal. 9. The familiarity of a map of the big blue expanse of Russia that was so grandiosely projected in the Hall of Deputies was far more than a scrim, and provided a bit of brilliant stagecraft for Putin’s annual address to the Russian Parliament foregrounding prospects of the nation, and reciting the litany of the challenges of the loss of land, GDP, population, and industry since 1989. Despite the fairly grim speech, Putin’s fourteenth address was augmented by visual maps and video to foreground the expanse of Russia as a “space of Freedom”–a term first used by the EU–but that now reached into Eastern Europe, in a sort of regional protectionism, expanding far to the East. 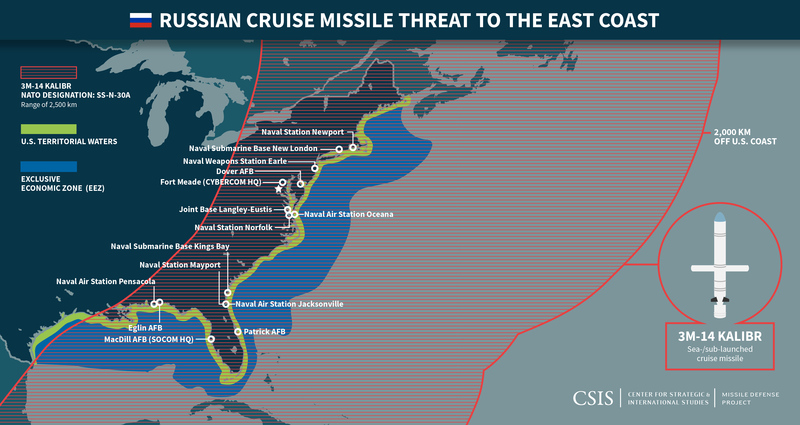 The projection showed a Strong Russia equipped in its ghostly blue outlines with newly developed undetectable rockets able to protect that freedom in the Strong Russia, whose firing was now able to reach the American President’s golf course/vacation home Mar-a-Lago and a powerful submarines and nuclear missiles he claimed would restore Russia to respectability on the world map. The notion of a missile of unlimited range, able to transcend all defense barriers, suggested something of a map that didn’t require any details, as a strategic weapon with its own nuclear power plant. While the map wasn’t particularly detailed, it didn’t need to be. For its symbolic prominence underscored the meaning of Putin’s prominent focus on militarization and on the increased abilities of Russia to engage external enemies. The featured animated arc of the missile that was mapped on video echoed footage of a missile attack shown on state television in 2007, but it seemed to rehearse a new point about mapping spheres of influence on the eve of the presidential election, echoing the militarism that after the invasion of Crimea had so boosted Putin’s standing, by suggesting the prospect of a future nuclear war. 10. American news predominantly described Putin’s speech as having illustrated the expanded rains of his own fleet of ballistic missiles, in a set of striking videos that recalled a computer game. The most popular point of the speech for its audience seemed the backdrop simulation of a series of nuclear missiles raining over what seem satellite image of the Florida coast near Mar-a-Lago, announcing the expanded global ambitions of Russia’s nuclear arsenal that enable its rockets to hit any target anywhere on the globe–in a bizarre shift of global attention from nuclear missile range of Pyongyang, suggesting the ease of transnational attacks. “With the new system,” boasted Putin, “there’s no limit.” He taunted the skills of Russian scientists and physicists. “As you can see from this video,” he assured Parliament,” it can attack any target through the North Pole or via the South Pole. No missile defense system will be able to withstand it,” as imaginary bombs rained over Florida’s coast near Tampa, Ft. Myers, as if implying that the Mar-a-Lago resort also lay far within their reach. The American news media picked up on the use of Florida satellite imagery, and even as they suspended judgement as to the taunt could not help but note the conspicuous presence of Florida as the target of the animated rain of nuclear warheads or missiles. Indeed, the video of the expanded bombing range of Russian nuclear warheads won Putin the most extended applause from an often silent Russian parliament. As well as shifting the world’s attention from the range of Korean nuclear warheads, it rather dramatically upstaged the threat of North Korea in the world press, as if suddenly affirming the new status of Russia as a military power, and leading Putin to assert the new level of respectability that this missile range would bring Russia on the global stage, to increasing cheers of rapturous admiration. “Despite all of the difficulties we faced over the years, economic and financial problems, problems with our defense industry, with our armed forces, Russia remained a nuclear power, but nobody wanted to talk to us seriously,” Putin urged the Parliament, as if discharging a deep grudge he long felt about geopolitics. Despite clear warnings to other nations, he continued, from a point of view rooted clearly in the Cold War, the Americans did not take him seriously in 2004. This seemed a major bee in his bonnet. “They kept ignoring us. Nobody listened to us. So, listen to us now,” Putin boasted to continued applause below video showing Russia’s new rockets reaching targets anywhere on the globe. “It is of unlimited range, so it can keep going like this forever,” and its “nuclear power energy unit” is able not only to fly across huge distances but “evade defense barriers” by evading stations that monitor incoming bombs. While routinely critiqued as cheesy videos, some pulled from 2007 Russian TV footage, their effectiveness was a sharp contrast to the relatively flat-footed discussion of the domestic economy’s performance in Russia, and showed the Sarmat ICBM flying across the South Pole to fire warheads at what seemed Florida, site of Trump’s vacation home, as well as other nuclear-armed systems, such as a hypersonic missile, undersea drone, and ground-launched missile that was nuclear-powered, and invited his Russian audience to propose names for these new weapons, before they went to the polls to vote for him in just over two weeks, as if urging them to vote for this new world vision. The visibility of a grid covering the the earth’s surface–uncannily similar to the GPS UTM grid–suggested the new ability of the Russian government and military to strike any site anywhere in the world, and along any course, as if in response to the manner that the United States Army had orchestrated what has been called the “boutique war” of the invasion of Iraq as a sort of demonstration of the ability to launch precision guided missiles by GPS back in 1991, billed as the world’s first “space war” or ‘smart’ war whose use of “smart bombs.” While we remember the war and its later invasion of Iraq as a military victory enabled by satellite-guided attacks, for Putin the war was a terrifying reminder of the ability to wage war from afar with unprecedented precision. Putin first led Russia during the time of the First Gulf War, and first invasion of Iraq the first major international conflict that he faced in the Russian government. He felt, it is widely reported, considerably blindsided and shocked that the United States Department of Defense could adopt GPS satellite navigation systems in order to guide aircraft and ground forces at a then-unprecedented level of accuracy within three meters, an eight-fold increase of accuracy that alarmed Russia as much as it affirmed the arrival of the use of satellites in the military. By determining exact positions of missile strikes over the Middle East, the First Gulf War showcased the possibilities for using the UTM on the battlefield, indeed, in ways that Putin seems to have found a way finally to respond in his State of the Union speech of 2018. The performance of the accuracy of satellite-assisted precision bombs was no doubt an image of military masculinity by which Putin was impressed, and provided something of a model for his own rhetorical presentation. Putin would have seen the GPS-guided precision bombings in the Iraq Invasion by which satellites relayed information to precision weapons as a marker of military prowess to measure against; the map was a confirmation and announcement of Russia’s global military status, after the embarrassing and unexpected occurrence of the Gulf War, and the spectacle of the accuracy of satellite navigation in war. 11. In contrast to the precision of the gridded world, the messy video of stealthy navigation from noiseless “unmanned submarines” evoked the weapons of the Soviet era. It affirmed the triumphal return of a besieged Russia to the global stage. For notwithstanding that “Russia lost 23.8 percent of its territory, 48.5 percent of its population, 41 percent of GDP, 39.4 percent of its industrial potential, 44.6 percent of the defensive capabilities,” its unstoppable nuclear powered armaments affirmed a vision of global dominance. If “some even asked whether if Russia was capable of servicing nuclear weapons we inherited from the Soviet Union,” Russia was back and had a video simulation that was able to prove it. Whether these simulations are accurate isn’t known. We hope that they won’t be for some time, for they do suggest the possibility of encouraging far greater nuclear proliferation. The combination of the global reach of Russian missiles and the isolation of Russia in this video paralleled a boast of the expansion of Russian defenses–and, implicitly, offenses–in a post-ABM Treaty world guaranteed the integrity of Russia, economic concerns put aside. Putin boasted of seem to protect an isolated Russia, a Russia unified and vast, not tied to the rest of the world and resisting tugs of globalism. “What we do know is that Putin has been elected in their country,” lazily intoned Sarah Huckabee Sanders, in response to how Trump reached out to Putin to congratulate him on his political victory, despite his advisors’ suggestion to withhold such a message; “and that’s not something we can dictate to them how they operate,” she continued, flatly intoning disinformation that seems to acknowledge the separate standards of elections in different countries, but “we can only focus on the freeness and fairness of our elections.” as if the fairness of Russian elections were not tied to their legitimacy. The strong identification Putin has achieved with the nation in Russian mass media. The global reach of Putin claimed for Russian weapons echoed the obsession of the autocrat with maps–a frequent obsession, indeed, of autocratic ambitions. They echoed the time that Putin spent when first President, contemplating the map of Russia and Commonwealth of Independent States between working meetings in 2006, where he almost seems to stare longingly at Crimea, even though the actual geopolitical map has changed since then. More than changed in its contours alone, the map filled the hall, aligning Putin with the state that he has come to identify himself as the sole savior and spokesman, but also as its best advocate and supporter of national interests. The contrast between a deep contemplation of the geopolitics of the nation and the targeting of any perceived enemies abroad seems a striking contrast in public performances of Presidential authority, that goes far beyond a contrast in personalities or leadership style, or the different sorts of geopolitical worlds in which both leaders live. Dear Dan, Do tell me what you are up to. Perhaps you can visit me at home next week.